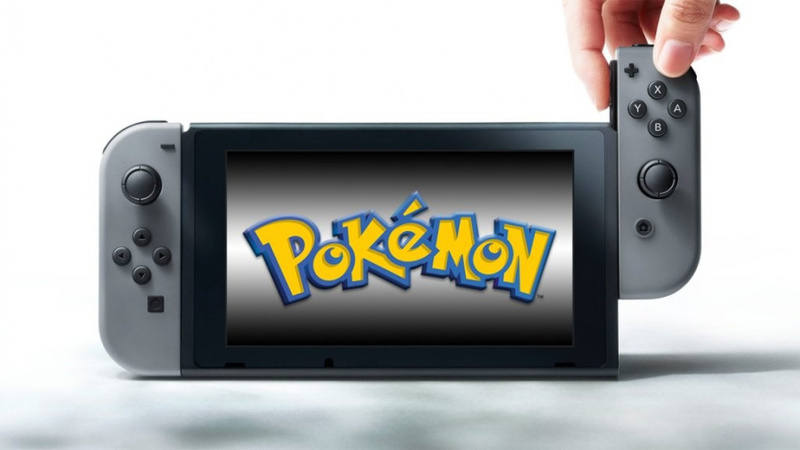 The upcoming Pokémon game(s) for Nintendo Switch are still likely quite some time away from release just yet, and whether or not we'll see any official reveals for the game during E3, or a Pokémon Direct around the time of the event, is still unknown. This information from Official Nintendo Magazine appears to confirm at least some nuggets of information, however. Posted online by Twitter user @raqueruu, these images show segments from the Spanish edition of the magazine. The small section talking about Pokémon for Switch indicates that we will see the eighth generation of the series, and that The Pokémon Company are rethinking the saga to surprise fans with new mechanics. It also mentions that the games will arrive in 2018 or later, although we already knew that. If true, an 'eighth generation' would suggest a new region to explore and new monsters to catch, continuing the trend already set out by the series' core games. The "new mechanics" reference is also interesting, as this could hint at a completely new format for the games (open world, anyone?). By the same token, though, it could also be something as simple as a new mode along the lines of Pokémon-Amie (where players could develop bonds with the Pokémon through petting and feeding them). While this information comes from an 'official' source, this magazine has made some errors regarding future Pokémon releases in the past. We therefore recommend taking this information with just a small pinch of salt until any announcements come from either Nintendo or The Pokémon Company themselves. What do you think about this potential news? What would you like from a next generation of Pokémon? Feel free to get the discussion going in the comments below. Wasn't there this official magazine that suggested Diddy Kong would be a playable character in Mario Kart 8, while he wasn't? I remember that vaguely, somewhere in the back of my brains. Aren't all Pokemon games kinda open world? @Saego It's the same magazine that claimed we could travel to Sinnoh in Pokemon USUM. This isn't news, it's just a baseless claim from a disreputable source. This credibility of this particular claim has been debunked a while ago on the basis of this. They know nothing. We already know this? Stating the obvious? In other news, the sky is blue, water is wet, and people poop after eating food. @YamAsereht No we don't? Many people including "insiders" have been speculating it would be a reboot. Some people also suggested it could be a remake. I always believed it would be gen 8 but it was far from accepted as fact. Sounds like it's far from confirmed going by the magazine's track record. Good chance it turns out to be correct though as I think they'll want a big new main series game to kick things off on the Switch rather than a remake. 8th, ? & ?? = (Insert country name) ??? @SmaggTheSmug Not really. Not in the sense that BotW is open world. Pokemon games have an interconnected overworld but you're usually forced to explore it in a particular order. When people say they want open world they usually mean they want to do things like go anywhere on the map at any time and challenge gyms in any order, which is unprecedented for the series. Lets just wait what Nintendo will reveal at E3. They gave us so little information about upcoming games, that we need a umbrella at E3 for all the games they will drop on us lol. A pokemon for switch is day one for me. Spain still has an official magazine? What gives? The UK had its brilliant one shut down years ago, supposedly due to low sales. And it has a population 20m higher too. We've already had confirmation that it will be a new main series Pokémon game, not a remake or spinoff. The only thing we don't know for certain is what the game will be like, whether it will include new Pokémon and mechanics. It's funny how these days we don't fully trust the printed word as default when back in the day it's all we had. Still, open world Pokemon would be a delight! @The-Chosen-one Game Freak likes to do things their own way, if Pokemon Switch isn't revealed before E3, it'll likely be a 2019 game with a reveal in 2019. I just hope they don't change things too much. There's a reason the core Pokemon games are so popular and beloved, and maybe even a game like Gale of Darkness moved a way from that just a little bit too much. I say just nail the core and classic experience that we've seen on portable many times but put it in glorious sumptuous HD that's worthy of a home console version of the game, and maybe have a cool online mode where all the players across the world can come together in the world of Pokemon and battle each other. That's about all it needs to be the best Pokemon game out there. Pokemom? 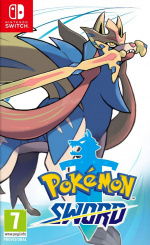 Now I may finally be interested in a Pokemon game. It was always either that or a (Kanto) reboot. I really think we'll get an announcement soon, if this is indeed a 2018 release. We can expect to see Gen 8 introduced in 2019/2020, which will be around the same time we should see the Switch game... but I think it's still debatable whether it will be 'the' Gen 8 game, or just a game released within Gen 8 (I'm still expecting them to split the franchise into two 'core' series... the existing main series being kept largely as it is, while introducing a new series, starting with the Switch game that will run alongside it). Who cares about Pokémon. I only clicked on this article due to "Official Nintendo Magazine" being in the title. Now I feel cheated. Of course it would be Gen VIII, why wouldn’t it be? Core Pokémon games are part of a Gen after all. @RyanCraddock Clickbait headline. This has not been "confirmed" and is not from a reputable source (the article even says this). Run the rumour as an article, sure....but don't title it as being "confirmed" when it hasn't been. I think we all figured this will be the case (they’ve never had a generation that spanned two different hardware formats). I do feel like Pokémon generations come too quickly in recent years, though. Nope, that magazine is anything but reliable. This news are old and wrong. Damn NL really weak. Read somewhere that this magazine has been guilty of publishing false info on other Pokemon games in the past so take anything they say with a grain of salt. Can it be less story bs like (Ultra) Sun/(Ultra) Moon. Slowed the game so much it was an unenjoyable slog. Open world, no story beyond being a successful Pokemon trainer, fully customizable avatars. Sorted. They’re just tryin to throw us off the trail, see?! They thought we couldn’t read Spanish! Seriously though, funny the ‘leak’ is in their own publication. @PorllM Well aware of that, though Pokemon makes too much money to reboot the whole thing. Expect new mechanics at best. "By the same token, though, it could also be something as simple as a new mode along the lines of Pokémon-Amie"
Yeah that's what I'm expecting. Realistically I'm expecting the bare minimum effort from gamefreak. I feel like we'll be lucky if the game maintains 30fps on switch. I'm probably in the minority here, but I really want Pokemon Switch to be a Gen 1-3 remake, taking place through Kanto, Johnto and Hoenn with all of the Pokemon in those locations. My ideal game would have that, in the future, where the trainer from the original (Red/Blue) is a young scientist, taking the Prof. Oak role. Add a few new gameplay features, more open world aspects and obviously improved mechanics and online features. I want the core battle mechanics of Pokemon to stay Pokemon. Turn based battles, raising a team of 6 Pokemon, with continuity with previous games. And I want Pokemon Bank support on the Switch. Aside from that, I encourage changing up the style of the story or world. An open world game where gyms (or the equivalents) can be battled in any order, and with the difficulty of those battles adjusting depending on the amount you have already defeated - would be very cool. There are many things they could try that would be refreshing and fun without changing what makes Pokemon Pokemon. What I absolutely do not want is an entire reboot of the series from the ground up, with Pokemon Bank and connectivity with previous generations abandoned. That would damn near kill the series for me, after playing since it first began in the west in 1998 with Pokemon Blue. When Ruby and Sapphire came out lacking many of the previous Pokemon or connection with previous games, I nearly abandoned the series then - until FR/LG and the Gamecube titles fixed that. Since then, I've kept my growing collection migrating from one generation to the next with each game. - Years of memories and fun times - if that stops, I stop. @DragonEleven I am sure there will be spin offs, but I don't think it is remotely likely that they would try to run two core series. @SmaggTheSmug Not really. They basically are... once you clear the game, but generally they lock you out of progressing or moving beyond specific areas until you do certain things. They have a history of having silly ways of stopping you too. To the point that after years of it, Pokemon is aware and has made in-game jokes about it. So open world Pokemon game, hopefully that means we can also travel to other regions too. I skipped gen 6 and 7, so I plan on getting 8. I can’t get into Pokemon generation after generation. Everything feels too much of the same and kind of a chore to play. @LUIGITORNADO I skipped 4 and 5, but I couldn't miss Gen 6 since it represented the biggest leap in graphics between generations at the time. I did skip gen 7 for the same reason as you though. It better switch up the formula, otherwise I don't care. @Monkey_Balls A great number of people care about Pokemon, obviously. @TheHumbleFellow Technically, the sky only appears to be blue because air scatters blue sunlight more than it scatters red. Water IS wet, until it dries. People only poop after eating if there's nothing wrong with them. In all seriousness, though, I'm not a fan of Pokémon (dodges things being thrown at him) but I really wouldn't mind a Breath of the Wild - esk Pokémon where you have to explore in a beautiful vast world to find rare Pokémon and items. I mean, duh? Every new generation has new stuff, new mechanics. People also overblow the change BotW gave. Yeah, it was big, but it's not "unlike any Zelda game". No one remembers the original Zelda which was pretty open world for its time? BotW is literally a translation of Zelda 1 to 3D, modernized with today's gaming designs. Linearity only began with Zelda 2. And BotW combat is still the same Zelda combat we know from the past 3D Zelda games. All the core parts of Zelda is still there. Back on topic, keep the battle system. People go on and on about how the turn-based system should change (mostly by non-fans who haven't played since Gen 2), but these people have no clue about the inner workings of the battles. These same people asking for new stuff have already gotten their new stuff to make the battles much better, like physical/special split and abilities. They're asking for the wrong thing for combat - they actually need difficulty options. Pokemon games are brainless in every game, including Gen 1 and 2. Train 2-3 Pokemon, have 4 HM slaves, spam your strongest moves, revive your main Pokemon with your HM slaves as a sacrificial lamb, you win the game. Make better AI, give all the bosses 6 Pokemon, make them switch Pokemon, have good coverage with their movesets, etc. Sure, keep it as is for the younger crowd who don't understand the battle system as well as people like me who's been playing since the beginning, but difficulty options should return in full force in Gen 8. No, the biggest thing Pokemon needs: expand the world a ton and bring back that sense of adventure. You don't need open world, but a compromise like Xenoblade 1 or 2 (Xenoblade X is open world) where they're linear JRPGs, but has expansive areas with optional areas to explore would be best suited at the moment. They can (and should) still tell a story like they've done from Gen 5 onwards, but the sense of adventure can be revived with a ton of optional areas to explore. Allow us to skip cutscenes, though. THAT'S what Pokemon should reinvigorate. People love BotW because you're off on your own adventure exploring. Bring that same feeling back into Pokemon. Going open world CAN work, but I like linear yet big areas that then make up one huge world by endgame. It's also less risky, and game design can be more focused on challenges that can better scale. But this is Game Freak. They'll be content to just make another game like Gen 5-7 and suckers like me would still pick up the game no matter the quality. Meh. @impurekind I have to SLIGHTLY disagree with you. Pokémon XD Gale of Darkness was simply a redone version of Pokémon Colosseum which sold very well. I'm NOT suggesting the formats of those games should be brought to the main series. There's a reason they remained spin-offs. But they were a wonderful version of pokemon that still kept all the elements of the main series with the exception of gym badges. Plus the story telling was much better in both. I would personally love to see this new pokemon game with the gym badges, updated graphics, new move sets, and a better story. Then as usual, we need a proper sequel in the "battle sim series". Pokémon Staudium 1&2, Colosseum, Gale of Darkness, Battle Revolution, aaaaand idk Pokémon Arenas of Time or something epic sounding lol. @Jhill0601 Well it's possible you know more about the history and success of these games than I do (Gale of Darkness and the Stadium titles), both commercially and in the minds of gamers, but I honestly thought Gale of Darkness wasn't considered to be one of the Pokemon games of particular merit. I might be wrong though as I just remember it not really receiving particularly high praise/scores or being talked about much after it came out. I do remember it having decent production value though (nice graphics and presentation for the time, and certainly compared to the very simple portable games), which I certainly would welcome in a Switch Pokemon game, and I'm sure there must have been a few things about it that were actually cool. Like I say though, I don't really remember much other than the portable games have always been both huge sellers and critically acclaimed, and I didn't think Gale of Darkness was. Maybe you can inform me of some more details about its reception and stuff though. @EvilLucario what I personally think they should do with open world is do a true open world, but make a linear, optional story. If you're guided into the story then those who want the linear experience get guided through it. It can have all kinds of rails to make it somewhat difficult to get off the linear path. However, if the story is truly optional(like to challenge the E4 all you have to do is complete the gyms and no gym is actually locked by story) then those who don't care about the story and want their own adventure have it. The compromise you mention is fine too but I think with a true open world and linear story you get the best of both worlds. Of course like you say I'm fully expecting a hallway simulator with the bare minimum of content from gamefreak. @Heavyarms55 I've debated that discussion on here before. I still don't see the benefit of splitting the series into two. You're already splitting the mainline series into two games. You then introduce a third game/remake (possibly split into two games as well). I love the series and of course it's a system seller. But doing something like that would would just not be a great idea. Again, what purpose does it serve other than going overboard in trying to make an extra buck or two? Yay, Pokeymoms Gelatin 8 for the Nintnedo Light Switch! @Yorumi It can work and pulled off correctly can eclipse anything else, but I don't trust Game Freak with open world. So instead, the compromise is the best thing we can hope for, if at all. That said I don't really mind hallway simulators as long as they're interesting enough. Gen 5 is the best example, and while it wasn't mindblowing it was a solid first attempt at a better story, which I greatly enjoyed. 6 was really meh. 7 had some good ideas and was way better than 6, but there were a lot of missed opportunities. But I don't think the hate for Gen 6/7 would be as big if they allowed you to skip cutscenes. Or maybe the hate would have focused to the lack of a postgame or something. Who knows. @EvilLucario Yeah skippable cutscenes are a must if we're required to do the story. I don't hate gen 6, I actually did enjoy X/Y quite a lot. Gen 7 though, ugh. The unskippable cutscenes hurt it a lot. However, the total lack of endgame is what sealed it. The gen wasn't all bad as the core mechanics were good. alola pokemon were a nice idea. It needs tweaking but I do think z-moves were the right track to head on etc. Overall though what i think they need to do for gen 8, skippable cutscenes, a more open world(if not totally open just more open), and some interesting endgame. They do often have a lot of good ideas on pokemon GL for special battle modes and stuff. They should incorporate some of those ideas into various endgame arenas and things. Yes. Because those magazines are so trustworthy. @Yorumi My standards for endgame are pretty low, all things considered. Battle ____ and online is pretty much the most I need, and I also enjoy breeding powerful Pokemon. Plus, replaying the games with a vastly different setup is always fun, no matter the generation and how brainless combat can be exploited. That said, in addition to the interesting styles of play like Triple/Rotation Battles and arenas that build off of them, I think there could be more optional dungeons. BIG dungeons too. Level gimmicks, more interesting puzzles, the works. And Legendaries that are NOT spoiled by marketing residing inside them would be cool. Tbh, when looking at "postgame" I think that's a narrow way of thinking about it. I'd just want more content, period. Pokeathlon from HGSS and that movie thing from BW2 was fun, to name off some examples. Add more silly stuff like that, which can be enjoyed with. That again ties together with the adventure part I want to see come back. It's not just about exploring the world, but about all the stuff to do within the towns and cities. Less seeing, more doing I say. 8th generation huh? Who knew Pokemon and Intel Core CPUs are so in sync — I guess we can expect 9th generation Pokemon to come out shortly after Ice Lake is on the market . @EvilLucario Yeah I agree just more things to do that are fun. What kills Battle tree for me is just how repetitive it gets. A lot of the items from the tree you need to build proper teams. When you consider the BP requirement to get all the items you just spend hours upon hours grinding against these teams to get the items. That grows old fast. The need to just add things to keep the endgame from getting stale. I understand it's impossible to add an endless amount of content but they could do a lot better. The most surprising news in this article is that there is an Official Nintendo Magazine still running in Spain! @Anti-Matter Remember when Masuda traveled to Spain a while back? It could be Spain. I found this kinda funny. "It also mentions that the games will arrive in 2018 or later, although we already knew that." Indeed we did. We were all aware that it would arrive sometime between 2018 and later, because, it's 2018 right now! How is this magazine still going? "Duh, it's going to come out sometime between now and the future." @SmaggTheSmug Every game has a segmented map. Typically, an overworld in an open world game would have no loading screens. I feel like that article isn't doing anything more than stating the obvious, tbh. I'm not taking any of this as fact until I hear an official announcement. While it is a 100% guarantee that Pokemon Generation 8 is coming to the Switch, I am not certain that Pokemon Generation 8 will be released this year. It's possible that if a Pokemon game is released this year, it won't be a brand new generation. Makes sense. They always wait to jump over to a completely new console until they have a new generation in the works. Pokken taught me that real time Pokémon battles can be done. It just isn't that spectacular. I hope they do something really new. I haven't played one of these since Gold/Silver but I don't really have any interest in the same basic turn-based combat. Do something more tactical, where positioning makes a difference. If it's the same old turn-based combat we've seen for two decades, count me out. I'd love to see this in open-world form. It should let us go into the high-level areas early if we want to. Just give some kind of a warning first - like how Witcher 3 displays the level recommendation on the map, but you can ignore it if you want. @UmbreonsPapa I think you meant to reply to someone else as I essentially agree with you. The magazine also called The World Ends With You a rhythmic game. While music is a big theme, I would not call The Word Ends With You a rhythm game, exactly. @Bolt_Strike Eh, Shadow of War is similarly gated and yet it does get called an open world game. I guess the genre definer are radio towers and pointless busywork, which are both present in BotW. @Heavyarms55 I think it largely depends on how much they change the existing formula for the new Switch game... if they make proper use of the Switch's capabilities that will almost certainly result in some drastic changes compared to the existing games, which will make it difficult to classify it as part of the existing core series. This will also likely result in backlash from fans of the existing games who don't want such drastic changes... hence they will most likely opt to keep both running in parallel. Game Freak do have the potential for this... in recent years they have roughly doubled in size, so could easily handle two major projects simultaneously, and it was confirmed that they had already been doing that with one team working on Ultra Sun and Moon while another was working on the Switch game. @Kirby-in-Kirkby Nintendo Power was the only official Nintendo magazine for North America, and it shut down all the way back in 2012! I'm quite frankly shocked any country other than maybe their home of Japan has a Nintendo magazine anymore. @wollywoo agreed, I have played all the new ones (except for Black/White 2 and USUM), but I usually stop playing before finishing the main story. In Moon's case, I played the main story, which was "meh", then quit after the credits rolled. Could not care less about any endgame. They've made a ton of QoL improvements over the years, but it's still the same tired formula with the same boring story every time. For the sake of my childhood, I want to be invested in Pokémon again. I just don't see it happening. Hopefully it will be interesting and possibility fix some of the balancing issues that have been around for ages. I am not looking forward to the possibility of Pokemon data being irrevocably tied to one switch console, outside of bank. "After a lifetime associated with portable consoles, the canonical side of Pokemon will jump to the table with its eighth generation. Game Freak and The Pokemon Company are rethinking the saga to surprise with new mechanics, either in 2018 or later." I think you could take the model of BOTW and make a pokemon game out of it, keep some of the survival aspects such as responding to weather and keep the aspect of go absolutely anywhere and climb everything, with Pokemon appearing randomly and caves with rare pokemon in them being the dungeons. The map could have a legend with the outline of different pokemon on it so you know where to catch them, similar to Horizon: Zero Dawn or Far Cry. Maybe take a leaf out of Monster Hunter's Book and have a research system where the more you battle a pokemon the more you learn about it until eventually you can locate it on your map. Having mounts like Taurus or Ponyta would be a great way to traverse the map as well. I would love to see something like that.